You know those days. Pleeeeaaaase tell me you know those days too. The ones where you open your eyes and it starts. The demands. The crying. The whining. OH MY GAAAAWD the whining. And sometimes, after a really long night, tears will form in your tired eyes, before you even pull back the covers. It’s all you can do to keep it together, and then even the cat joins in on the chorus. MEEEEOOOOOWWWWWWW! Because even the cat wants something from you. I’ve had a few of those heart-sinking days this week, when I’ve thought, “For the love of all that is good, what about ME?! 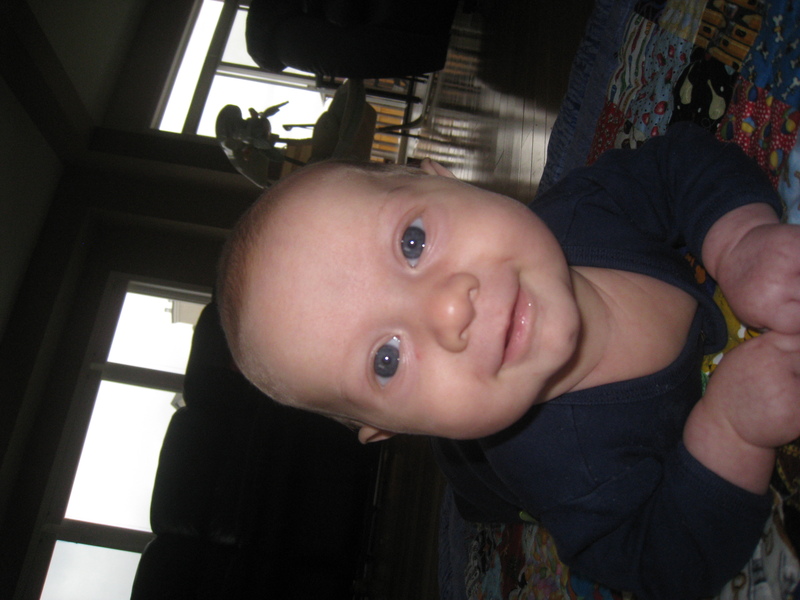 When do I get five minutes just to BE?” Mommies give and give…. and then we give some more. And sometimes we just give so much and are so exhausted that we snap at our whiny two year at the supper table and then join in on the tears with him. Am I the only one? I cannot possibly be the only one out there who has the occasional day that is not all love and roses. And you know what? She was right. That is real life.Real life comes with tickle fights and blanket forts and movie nights snuggled on the couch. But it also comes with sleepless nights, cranky kids (who are so much more difficult to deal with after said sleepless nights) and days when you really just don’t feel like playing dinosaurs. Again. And maybe if we were all more open and honest about the ups and downs and highs and lows, then maybe I wouldn’t have been consumed with so much mommy guilt after losing it at the supper table. Maybe I would have been kinder to myself and realized that I was not a bad mommy, I was simply a real mommy. Maybe we’d all feel justified in taking our supermommy capes off for just a while and allowing ourselves to be real people who feel real emotions in this real life. What I found after naptime this week. 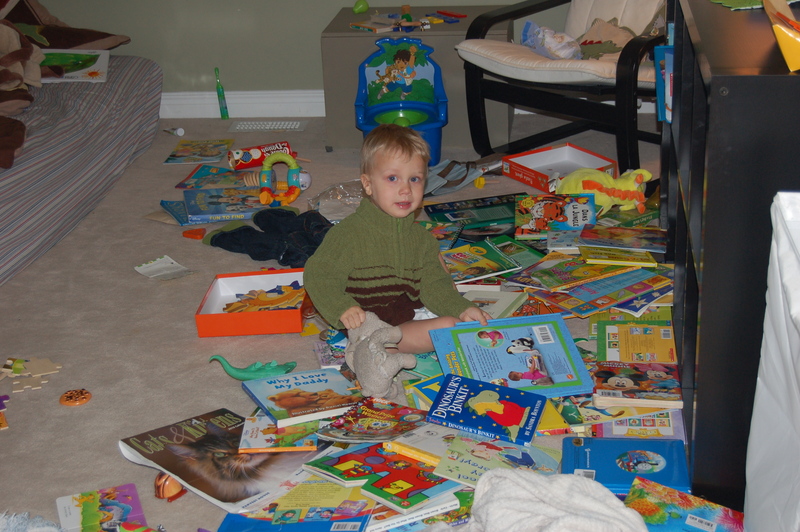 "Mommy, I made it rain books!" Because just like photo albums only display pictures from the happy times, so do discussions and blogs tend to rave about all the wonderfulness of life. And don’t get me wrong… we need to celebrate, we need to cherish those good times… but those rough times are important too. They create valid emotions and they help to shape us into the wonderful and loving parents and friends and spouses that we are. Phew. Now that I’ve got that off my chest, please excuse me, while I once again don my supermommy cape. 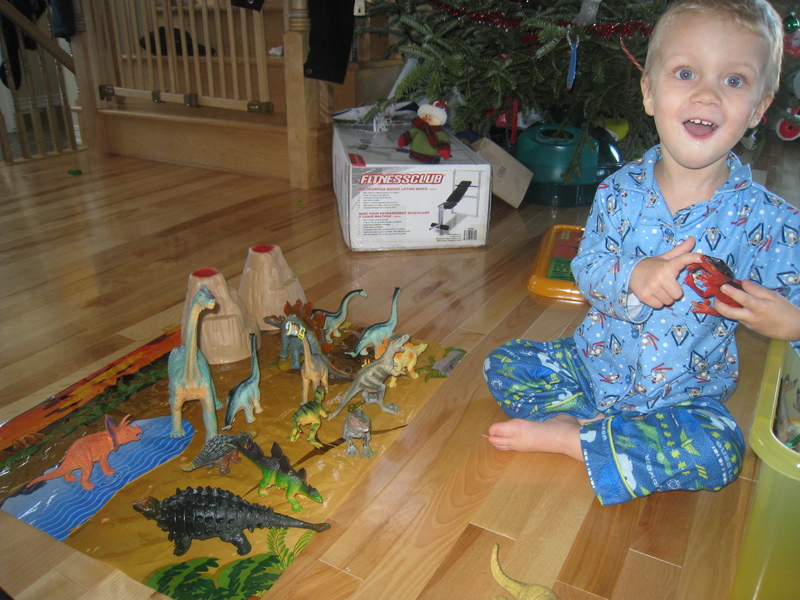 A sweet little boy is begging me to play dinosaurs with him (“Puhweeease mommy!”) and I am happy to oblige. As seems to be the case for projects and jobs I’ve started recently, this post was started what seems like eons ago and I am finally getting back to it now. Little Logan has decided he is not happy anywhere but on my breast this afternoon so attached to the couch I am, slowing and awkwardly typing one-handedly while balancing his ever growing body in the other arm. I am going to snuggle on the couch all afternoon with my newest little man, watching his sweet expressions as he sleeps. I am going to do this despite the countertops covered in crumbs and the mountain of laundry in the hallway, because the days go by too fast and I will never have a three week old to call my own again. That, and he’s just so darn cute. As I sit here today, my baby is 11 weeks old (Seriously? How is that possible?!) and I am still feeling the same way. Our days are typically spent doing puzzles (Tristan is an addict!) and becoming characters in Tristan’s over-the-top imaginative scenarios. Often it involves building “gates” (aka creating block walls) to keep out the troodon dinosaurs or “camping” and “making marshmallows” in our blanket tent. Today we were escaping alligators and snakes, jumping out of the “deep blue sea” onto our mattress boat. As we play I look around and still I see more mountains of laundry in the hall (I only had one more baby – you’d think I had seven judging by the exponential increase in washing machine time) and piles of every plastic dinosaur known to man litter the floor. No way am I winning any Miss Susie Homemaker awards this year – just sayin’! Meh. Am I worried? Not really. Now don’t get me wrong – it’s not that I think it’s great for kids to grow up in a disaster zone and I will be sure to have a nutritious meal on the table most nights. After the kidlets are asleep I have been known to sweep through the house like a mad woman putting (at least some) things back in their place. I just choose to spend my time and energy in the day on squeezing every last drop of good times (and of course some challenging ones too!) with my kids. The other day a quote on my Lululemon bag jumped out at me. It exactly echos my sentiments here. Nothing matters to me more than my smiling babies. Happy kids, full tummies…the rest can wait! 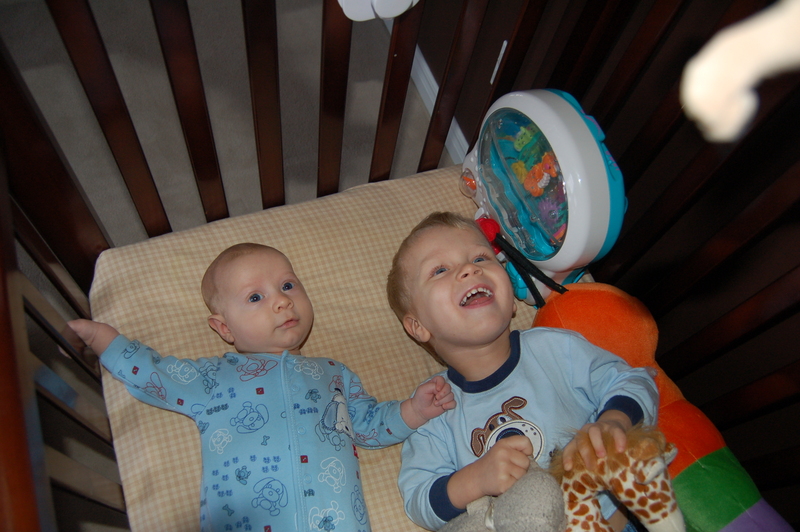 You are currently browsing the A Mom Like Me blog archives for January, 2011.